October has flown away don’t you think? Only couple of weeks ago the fashion crowd was saying goodbye to SS13 fashion month along with, the launch of the November issues which come out mid October. Now we’ve come to that part of the month for Halloween. Not long to go until the British Fashion Awards…. Speaking of awards over the weekend news was brought in that Miuccia Prada has been made it onto the ArtReview Power list. Prada has always been apart of the artistic persona according to some people her work is subjected to be more art than fashion, that became the subject of this year’s Met Ball. However Prada’s work brings support to the art world with her Fondazione Prada contemporary art space. Her private art collection includes pieces by prominent artists such as Anish Kapoor, Louise Bourgeois and Carsten Holler. 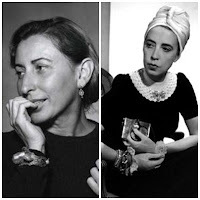 The ArtReview magazine mentioned Miuccia Prada within the list of most 100 important figures in contemporary art today. The list features the world’s top artists, dealers and collectors. Fabulous way to start of the week Miuccia Prada.